The Dri-Eaz HVE 3000 flood pumper & inline truckmount booster is a portable machine that sports a slim profile and 4 inch wheels to allow for positioning into places others can't. 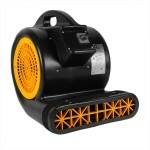 The rotomolded body prevents scratches while being moved and protects the powerful blowers and pumps within it. These dual vacuum blowers allow for maximum airflow with 2 inch inlet and outlets and the sump pump can handle up to 1/2 inch solids while also being clog-resistant. The 12 gallon tank holds the recover water and cuts down on trips to the drains. The tank can be emptied quickly by auto pumpout through a standard garden hose or by the large toilet-height gravity drain. A cleanout filter that can be easily popped out is conveniently located on the top of the unit under a clear cover. The HEPA filter that captures contaminates in the exhaust is replaceable and is located on the bottom rear of the machine. 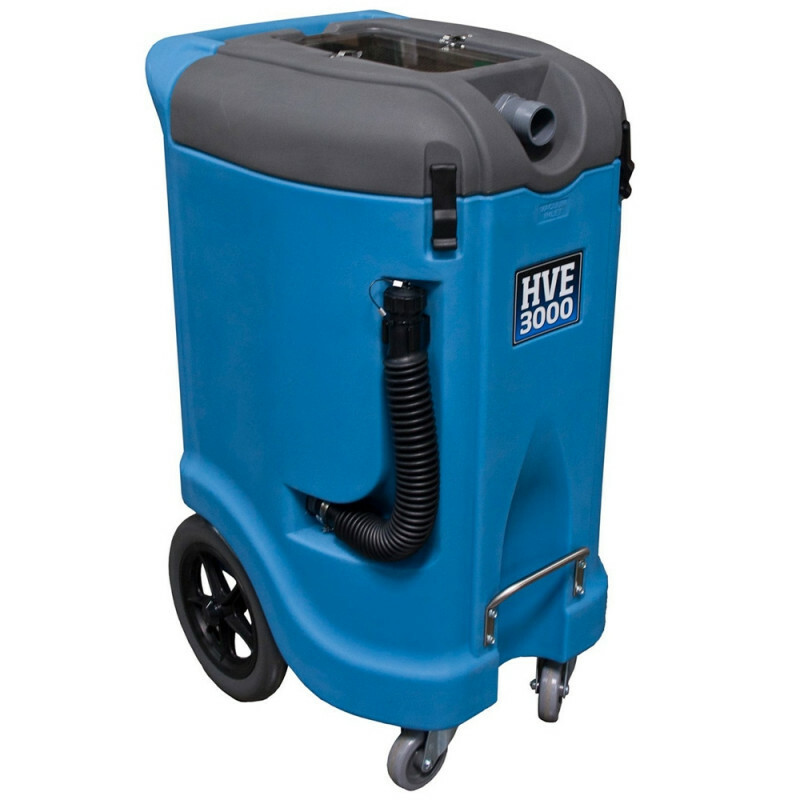 This machine can also be used as a truckmount booster for those longer runs during the cleaning of carpet and floors. A 25 foot section of 2 inch vacuum hose is included and will fit on our 14 inch Dri-Eaz recovery wand or our motorized high volume extractor which are both sold separately. For other types of flood extraction equipment, please view our full line of flood extractors. Easy cleanout filter by popping the clamps on the clear plastic cover and lift out the basket for rinsing. A high flow, high volume clog-resistant sump pump will handle up to 1/2 in. solids. Rugged construction and rotomolded housing resists dings and scratches. Low center of gravity provides balanced transport and is easy on stairs. This is a review for the Dri-Eaz® HVE 3000 Flood Pumper & Inline Truckmount Booster.